I hired Phil Varco and his crew to replace several windows in my home. Phil worked with me from start to finish. His crew was exceptionally professional, talented, and polite. They were master craftsman. I highly recommend Varco Windows and Doors! Looking for a modern style of window to accentuate the architecture of your home? 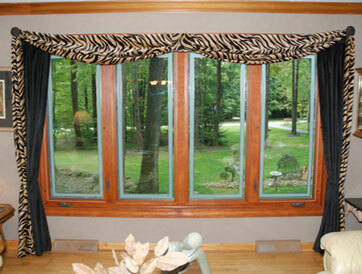 We can make it happen with a casement window or awning window...all energy efficient vinyl replacement windows! VARCO vinyl casement windows and vinyl awning windows offer the best of both worlds... the tightest seal available of any window styles, along with the most generous of ventilation opportunities. Available in a wide variety of painted exterior colors as well as interior woodgrain and paint/stainable laminate options. In the closed position, a casement window or awning window's weather-tight compression seal and multi-point locking system create a refrigerator-like seal, virtually eliminating air and water infiltration while improving the comfort level inside your home.